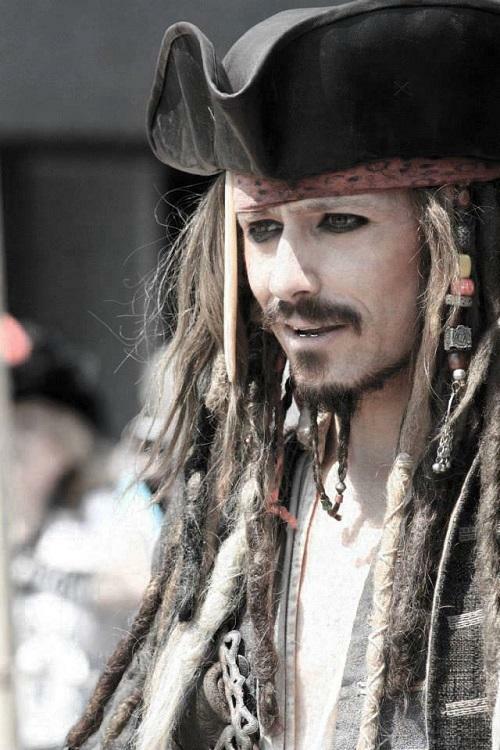 Simon is an amazing Jack Sparrow lookalike. He has appeared at corporate events all over the UK for some of the most well-known companies in the country. Simon has built up a reputation of being not only a perfect Captain Jack Sparrow impersonator, but also has the professional attitude and reliability you’d expect from a top class corporate entertainer. 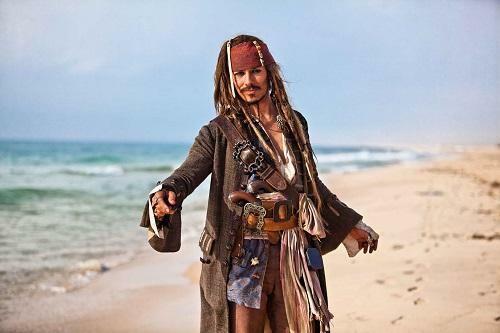 Based in West Sussex, Simon has portrayed Disney legend Captain Jack Sparrow (as played by Hollywood film star Johnny Depp in the Pirates of the Caribbean franchise) at corporate events all over the world. 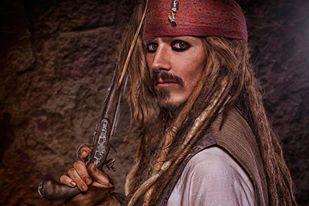 He has also played a photo double for Johnny Depp himself in Pirates of the Caribbean: On Stranger Tides. Simon has dedicated his time to perfect the look, mannerisms and the outfits as worn by the swashbuckling star, and of course the unique voice, and sharp wit! 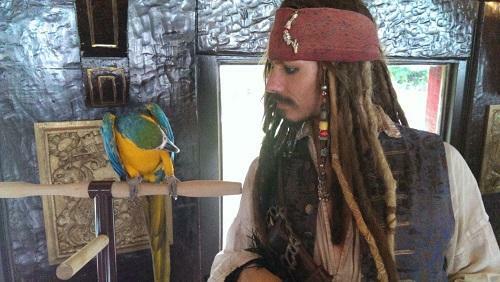 At many events visitors often walk away convinced they have met Johnny Depp. Simon usually perform 2 x 45 minutes or 3 x 30 minutes. Just to say a great big thank you for sending the Jack Sparrow lookalike, I missed it being on holiday, but my colleagues tell me he remained in character all day long, even to the point that he said he was driving off site in a ship!!!!! !…Thanks again for supplying us with fantastic entertainment as always. 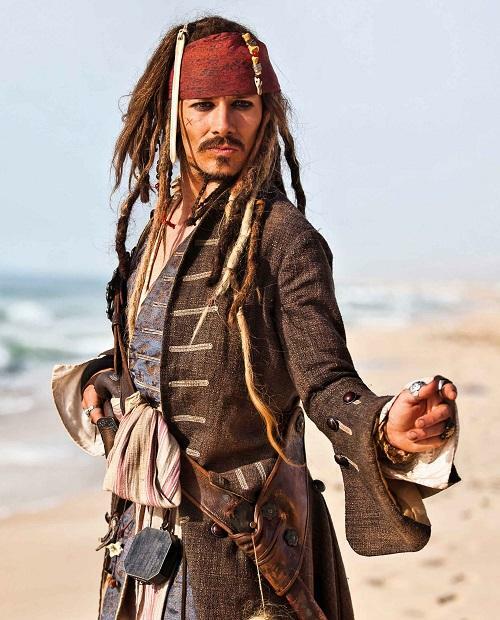 With his face and outfits one of the most marketable in the industry it is no wonder Simon Newton is so sought after for public appearances as a Captain Jack Sparrow lookalike. Thank you for making me go weak at the knees and turning me into a blushing giggling wreck while I was at work. He is way more effective than ‘standard’ lookalikes – not only is he a delight to work with, he also brought so much fun and some savvy pirate chic to our Glitterati evening!